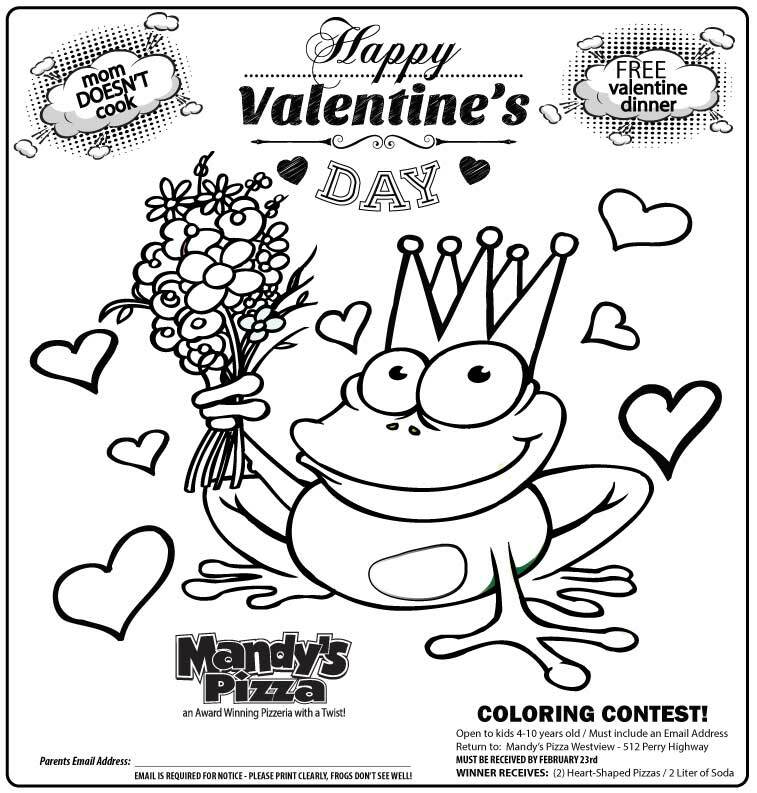 While we are in the business to make money, we can’t do that without having some fun too. 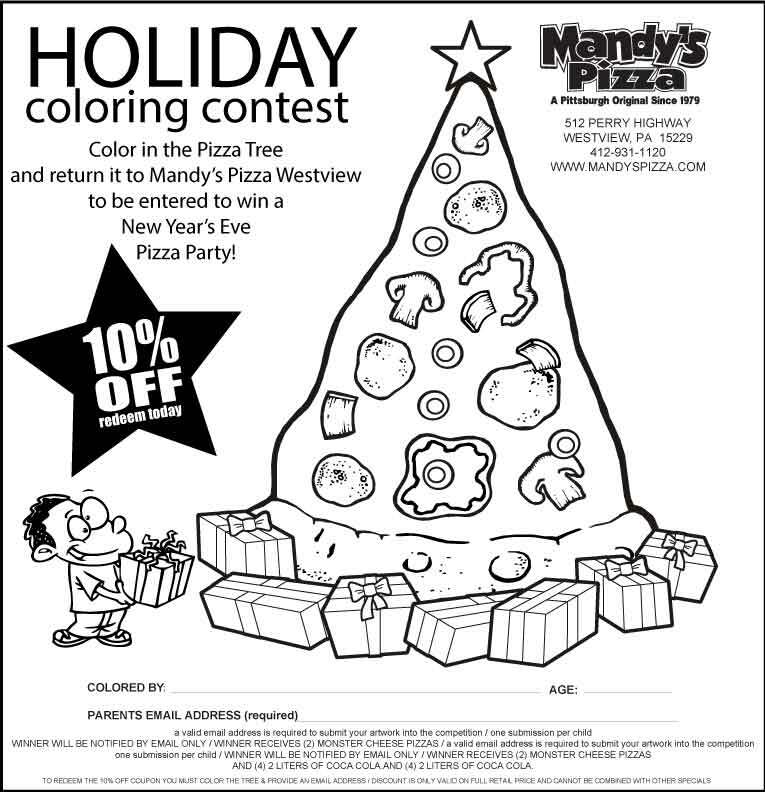 Whether you choose to compete in one of our annual holiday coloring contests, or you think that you can tackle our Monster Pizza Challenge, following are the details on how you can have fun, and win some free food. 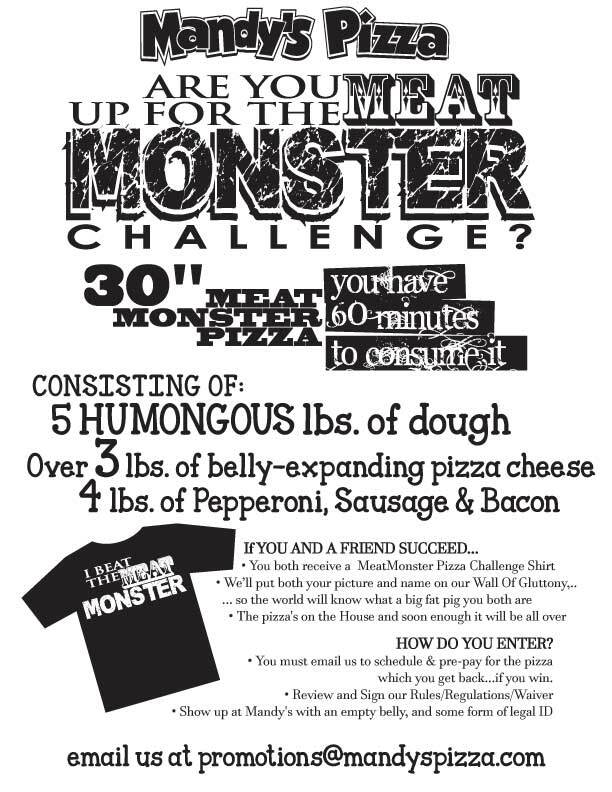 Do you have what it takes to participate in the “I Beat the Meat Monster” contest? It's Wednesday 12:07 PM — BOOYAH...We're open!